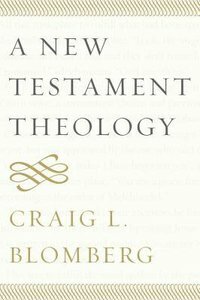 Craig Blomberg has now crowned his distinguished career to date as a careful reader and interpreter of the New Testament by tackling the largest and most difficult of challenges-that of writing a New Testament theology. Blomberg's text draws upon his proven ability to read ancient texts in historical context, his deep knowledge of the various textual traditions that comprise the New Testament, and a sympathetic competency to see the New Testament as a lived text. A New Testament Theology is a major achievement by a seasoned scholar and one that will serve teachers and students alike. Blomberg presents the task as twofold: chronological and synthetic. Blomberg thus plots actors, authors, and books of the New Testament in a reconstructed chronological order, highlighting both the dominant and distinctive themes for each. Examinations of Jesus and the early church come first, followed by those of the early Jewish Christian writings of James and Jude, and then the missionary letters of Paul (treated together). Blomberg then unpacks the contributions of Mark, Matthew, and Luke, followed by the Pastorals (treated as an extension of Lukan thought even though originating in Paul), Hebrews, 1 and 2 Peter, and the Johannine corpus of gospel, epistles, and Revelation. As Jesus' ministry begins with the proclamation that "the time has come," the recurring, unifying, and synthetic theme of the entire New Testament is, according to Blomberg, the fulfillment of the Old Testament promises, both directly and typologically, explicitly and implicitly. Blomberg's careful inductive reading demonstrates the Bible's remarkable cohesion and foundational importance for the contemporary church. While the grand finale of God's cosmic redemption is still in the future, the determinative events for human well-being have already taken place in Christ. This is the conviction that drives Christian life from generation to generation: the ages have turned, God's victory is assured, even though there is still much work to be done. About "A New Testament Theology"